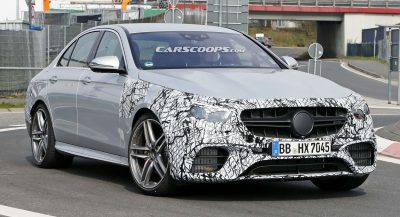 Trying to understand what cars are going to turn out to appreciate is extremely tricky. I get the whole air-cooled Porsche thing, because the automaker doesn’t make those anymore and finding one in good condition is tough. 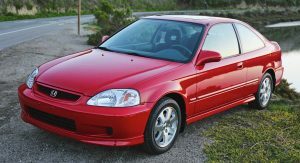 Paying $22,750 for a 2000 Honda Civic Si, though, is something that I’m having trouble wrapping my head around. 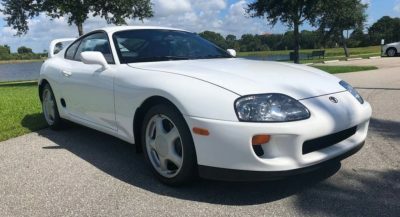 If you have to wonder where that kind of a car sold for that kind of money, there’s only one place where an enthusiast would be willing to spend that kind of money on an 18-year old car – Bring a Trailer. 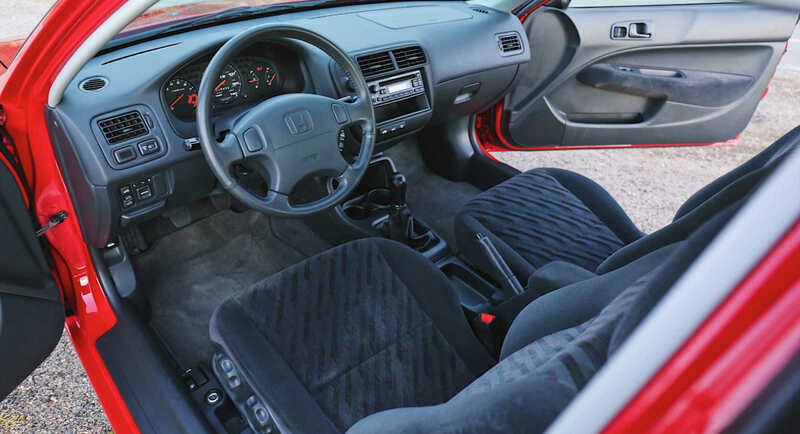 As we’ve come to expect from everyone’s favorite auction website, the Civic Si was in pristine condition. 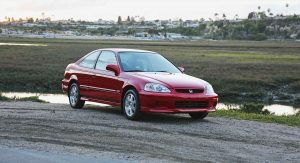 Despite its age, the Civic Si only traveled 10,439 miles and was never modified. Personally, I think the last tidbit is what helped this example crest the $20k mark. Finding an aged car that had even a modicum of sportiness to it that’s not modified to hell is a difficult task. 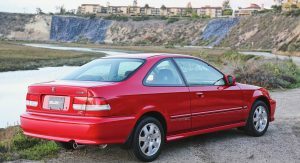 But the previous owner, who, according to the listing was a Honda collector, probably had a feeling that a well-kept Civic Si would one day be worth a lot of money and kept it like-new condition. Even the underbody of the coupe looks like it’s clean enough to eat off of. 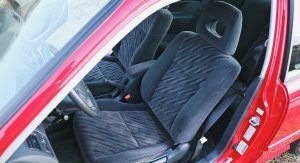 Usually, we don’t get mad when owners don’t drive their vehicles, because it’s their car, they can stash it away forever if they want to. 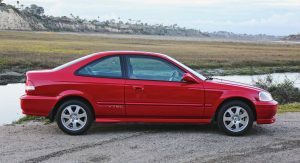 But this poor coupe with its 1.6-liter VTEC inline four and five-speed manual gearbox is beginning for a lot more miles. We really hope that the new owner decides to wring its neck out and drive it until its falls apart, which will easily be over 200,000 miles. 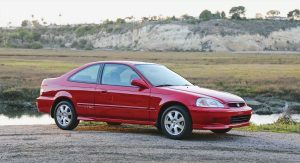 More than $20,000 is a whole lot of money for a 2001 Civic Si, especially since you can get a new coupe for just under $25,000. 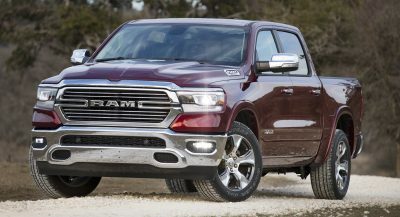 We have a feeling that Bring a Trailer will be flooded with pristine vehicles from the early ‘00s that will sell for absurd amounts of money because of this example in the near future. I bought an identical one the night before college graduation in May of 2000. Only difference was that I’d opted for the spoiler and 6-disc in-dash CD changer. Think the sticker was just a smidge under $20K. Had the choice between this one in Milano Red or Electron blue. Still one of the coolest cars I’ve ever had. Loved it. Why can’t the current SI be this tasteful and fun? Lucky you. 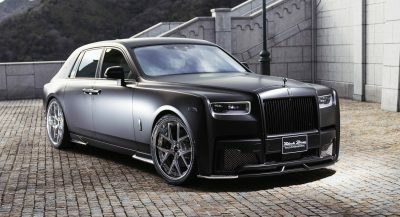 Not many people can afford such car before even finishing the school. It was one of my favorite down-to-earth cars. But it was never even sold as a coupe in my country 🙁 . I’m not sure what the author of the article was expecting. It is actually quite good price. Although this example is in mint condition but that is my thought exactly, maybe up to 15k but that’s it! 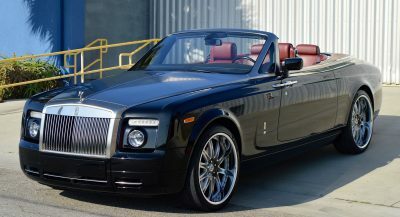 I’m sure this is not the type of car to be bought by someone who needs it as a daily driver. It’s a future classic and the price is appropriate considering the awesome condition. These cars were slow in 2001. Why would anyone want it now? Cars were even slower and less reliable in the 1960’s. Why would anyone want them now? Because they aren’t 2001 Honda Civics. The author of the article obviously has no understanding of Honda ans their fans.. This civic is a manual si not messed with.. Meaning it has the original not messed with engine etc making it a blast to drive and will go on for way more than 200,000 miles. This was built when Honda was still engineering and making cars that handled better than most out there. 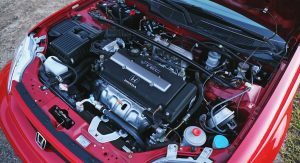 The following generation lost a lot of what made Hondas so great.. That’s when the bean counters started to make their cars instead. 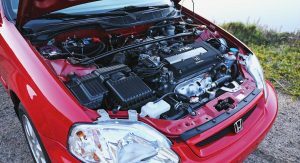 Gone were the high revving 100bhp per litre engines in favor of economy and cost saving platform and designs..
Looks like honda might be returning to its previous greatness again.. I love my new ctr.. How a turbo should be. So much better looking than the current Civic Si or the previous models on top of that. I definitely will try to get my hands on in good enough condition. It came out near the peak of the “Import Tuner” craze in the late 90’s early 2000’s. 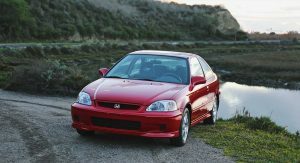 In my high school then everyone wanted the Civic Si, Integra GS-R or Type R, or Prelude. It was the attainable dream car. Yes it’s mint, but the price is a bit steep. Civic Si is not exactly hot collector’s property. Clean car and low miles but I rather have the EX-T coupe with a manual transmission for under 25k or get the new SI. i find it hard to believe how well this car looks… even after all the years that have gone past. if money is no object, i would want one these too. Next PostNext What If The Next 2021 BMW i3 Looked Like This?